Being able to be played with 6 players without needing expansions. (Big tick when we have 6 + others wanting to play a game). Everyone’s turn takes place at the same time – no waiting for 5 other players before your turn. 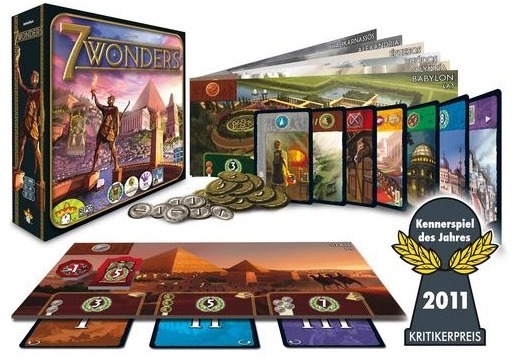 Set up is relatively quick and the game takes a relatively short time to play given it’s a set number of rounds. Photos from that first game. We’ve picked up some expansions for it, but to be honest I prefer the vanilla game. Overall though, probably an 8/10 and definitely the game of 2014. Wondering what 2015’s game will be. 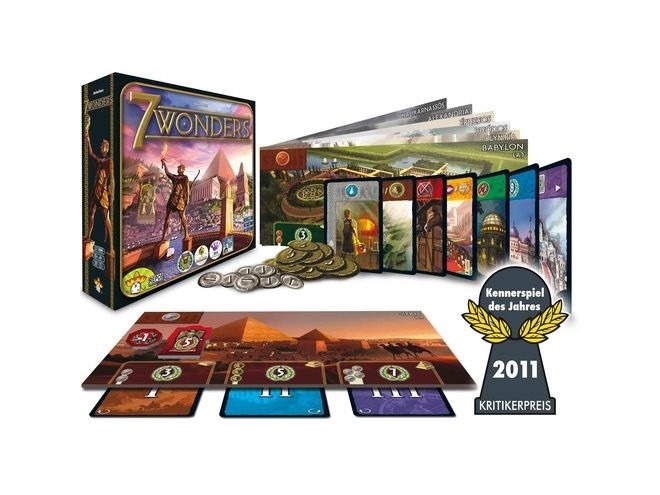 More on the game over at 7 Wonders | Board Game | BoardGameGeek.